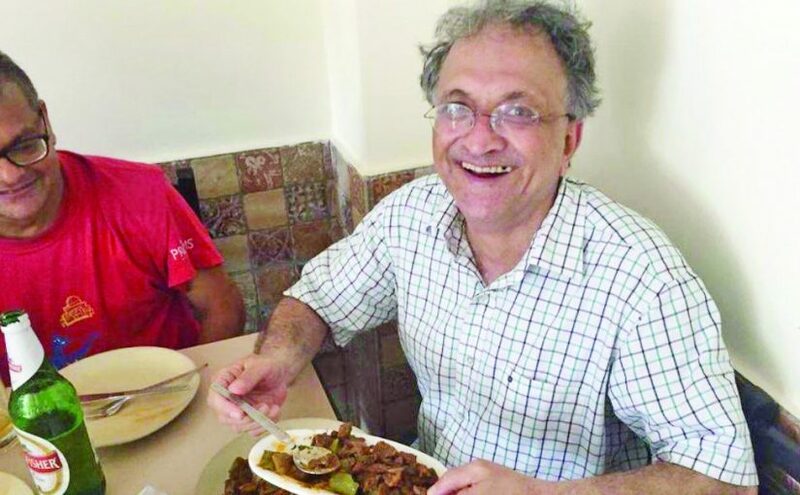 A day after social media fury over his beef tweet from Goa, which also led to questions about his vegetarianism, Ramchandra Guha deleted the picture of his lunch in Goa and claimed he was getting threats. If a Hindu eating beef & publicise it he is stigma on this religion. One Ramchandra Guha is doing so. He is trying to tease whole of Hindus by this dastardly action of such publicity. Shd be given befitting reply. He added that he was getting threatening calls from a man calling himself Sanjay in Delhi and that he had threatened Guha’s wife as well. However, Guha had in the past stated that he was vegetarian, which led Twitters users to ask how a vegetarian was eating beef. To this Guha pointed at an old article where he said he became non-veg during his boarding school days in Doon. Guha was perhaps referring to the discrepancy of BJP’s stand on beef in different states. While in the so-called cow belt, the party’s firmly against consuming beef, it has no such moral compunctions in states like Goa or Mizoram. In fact, Chief Minister Manohar Parrikar had said in the Goa Assembly in 2017 that the state’s meat traders got its excess beef supplies from Karnataka. In Meghalaya, ahead of Assembly polls in 2017, BJP spokesperson J A Lyngdoh said in a statement that the party “has already clarified that it (beef ban) will not be imposed in the northeastern states. Livestock is a state subject. It is up to the states to decide”. He also said beef ban would not be imposed in the state, adding preventing cow slaughter was neither a good economic measure nor had constitutional backing. Previous post: MODI, AMIT TUMBLE DOWN!